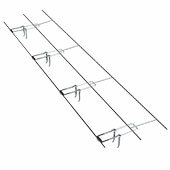 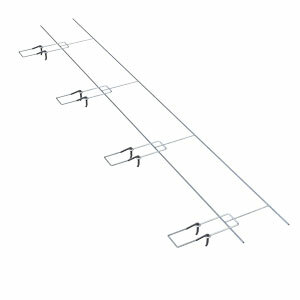 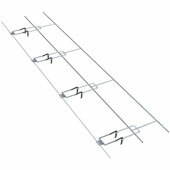 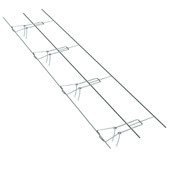 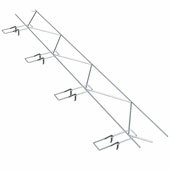 270-2X Ladder Eye-Wire is a ladder style adjustable joint reinforcement with eyes and the NEW 2X-Hook. 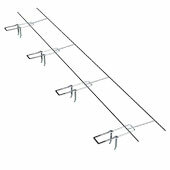 2X-Hook acts as a vertically adjustable anchor to bond exterior masonry, while restraining in and out movement. 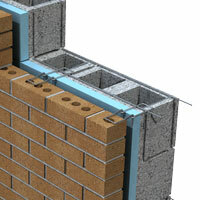 Design of 2X-Hook serves to mechanically secure insulation to masonry backup.